Please read this leaflet carefully even if you have been using Levo-nor for some time – the information contained in it is continually being brought up to date. 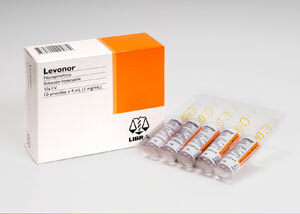 The calendar pack (4-week pack) of Levo-nor holds 28 tablets each containing 0.03 mg levonorgestrel. Levo-nor contains the oral synthetic progestogen derived from 19-nortestosterone; (levonorgestrel) which is considered to have the highest relative biologic progestin activity – in an extremely low dose. The continuous daily ingestion of 0.03 mg levonorgestrel brings about changes in the cervical mucus by which sperm migration and ascent are rendered difficult or blocked. Furthermore, changes in the endometrium throughout the cycle can be considered as having the effect of rendering the nidation difficult. Ovulation is generally not inhibited but there is a decrease in corpus luteum function which contributes to the contraceptive action. The reliability of progestogen-only contraceptives is slightly lower than that of conventional progestogen-estrogen combinations. However, Levo-nor offers a high degree of reliability. Levo-nor is an alternative for users of non-hormonal contraceptive methods and for those who, for one reason or another, cannot take or are not willing to use progestogen-estrogen preparations. Hormonal contraception, notably in cases of intolerance to combined progestogen-estrogen preparations or when estrogens are contraindicated. Before starting Levo-nor, a careful history and complete physical-with a special concern to the breasts-and gynecologic examination as well as blood pressure, urine malysis and cervical cytology-should be carried out and pregnancy must be excluded. A gynecologic check examination should ideally be made every 6 months or at least yearly, while the individual is on medication. out the first tablet from a blister marked “Mon” and swallowof the day you take the tablet, but when you have selected a particular time you should keep to it every day, because the interval between taking two tablets should be as near m-Iiours as possible. marked with the appropriate day of the week. During the first 14 days oftablet·taking you must employ, in addition, a non-hormonal method of contraception with the exception of the rhythm and temperature methods .. Irregular tablet-taking, vomiting or intestinal disorders with diarrhoea, very rare individual metabolic disturbances or prolonged simultaneous use of certain medical preparations (see “Please inform your doctor. can affect the contraceptive effect. If you have been using another hormonal contraceptive or if you want to start taking the tablets very soon after a delivery or an abortion, you should first consult your doctor. If you are breast-feeding, your doctor should decide whether you can take Levo-nor. Most women find that menstruation under Levo-nor occurs at the usual intervals and that the bleeding of normal duration and intensity. However, you may be one of those women who find that Levo-nor alters the hitherto familiar intervals between periods, the interval between two periods becomes shorter or longer. Thus, there is an adjustment to a new pattern of menstrual cycles. Intermenstrual bleeding of varying intensity may occur, particularly during the first few months of Levo-nor use. If no menstrual bleeding has occurred within 6 weeks after the last menstrual bleeding, pregnancy must be excluded-before tablertaktng iscontirnred. contraindicated in case of recent history to hepatitis and in case of severe disturbance in liver function and in case of inflammation uterine tube. 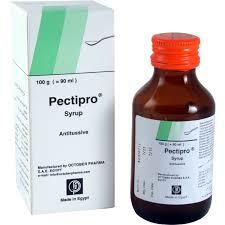 mentloned under “Contraindications”, because in these cases Levo-nor must not be taken. If you are not sure whether you have or have had any of these conditions, ask your doctor to explain . 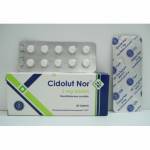 – if you suffer from diabetes, since this disease requires careful supervision. Women with a tendency to diabetes should also be supervised accordingly . – if you are taking other medical preparations regularly for example, barbiturates, phenylbutazone, hydantoins, rifarnpicin, ampicillin), since they can impair the action of leve-nor. The requirement for oral antidiabetics or insulincan change. tightness in the chest, pending operations (six weeks before-hand), immobilization (for instance, following accidents). In all these cases there may be an increased risk of thrombosis. Further reasons for discontinuation are; onset of jaundice, onset of hepatitis, itching of the whole body, significant rise in blood pressure, pregnancy. If there is a history of extra-uterine pregnancy or one tube is missing, the use of Levo-nor should be decided on only after carefully weighing the benefits against the risks. If obscure lower abdominal complaints occur together with an irregular cycle pattern (above all amenorrhoea following persistent bleeding), an extra-uterine pregnancy must be considered. According to the present state of knowledge, an association between the use of hormonal contraceptives and an increased risk of venous and arterial thromboembolic diseases cannot be ruled out. the rela ive risk of arteriaIlfirom50ses e. g. stro e, myocardial infarction) appears to increase further when heavy smoking, increasing age and the use of hormonal contraceptives coincide. In rare cases benign and in even rarer cases malignant liver tumours leading in isolated cases to life threatening intra-abdominal haemorrhage have been observed after the use of hormonal substances such as the one contained in Levo-nor. The doctor must therefore be informed of the occurrence of unusual upper abdominal complains which do not disappear spontaneously within a short time. 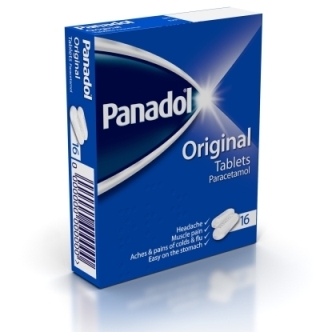 Calendar pack (4-week pack) containing 28 tablets. – Store all drugs properly and keep them out of reach of children.